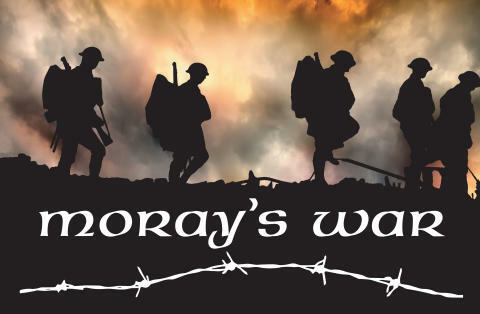 The latest event in a four-year Moray project to coincide with the centenary of World War 1 will take place over the next fortnight. Moray’s War, which is being led by the council’s libraries service, is demonstrating what life was like for the people on the home front during the 1914-18 war. As the project continues, Lossiemouth library will play host to a photographic display from April 25 to May 7 during which local people will be encouraged to share their families’ stories from the era of the Great War. On Thursday, May 5 at 7pm there will be an illustrated talk entitled ‘A bleak day for Lossiemouth’ by amateur historian George Meldrum based on his own research into the tragic story of 11 men from Lossiemouth, all of whom lost their lives near Arras on the same day in 1917. And on Saturday, May 7 from 10am to 2pm there will be a Moray’s War roadshow with displays of photographs, weapons and artefacts and the opportunity to exchange information with the Moray’s War team.